It's the same as snakes wearing St Patrick's Day badges, which is stolen or adapted by yours truly from the one about turkeys voting for Christmas. Later on down the page, we will explain how the GAA stuck up for the underdog. First though, we will tell you of a covert operation in Cork on a summer's day in February. Women who wore vests in August opened the second button of the blouse and men on bikes shed Lycra like sheep in summer. So I drove to the river and Páirc Uí Chaoimh. There was a county under-16 trial taking place on a full-size all-weather pitch. The standard was good and the young lads convinced me there is a future for Cork football. The cost of the stadium is well over budget. Cork is embarrassed. But most big building projects are over budget. Cork have appointed a very able board to oversee the stadium. Time heals all and condenses misfortune. There is something open and airy about the stadium. Croke Park, for all its splendour and plush, can be too crowded on big-game days. Water has to be held as the toilets are oversubscribed. The upper decks are too steep. The open areas are smoky closets. There is plenty of room to breathe in Páirc Uí Chaoimh. Like any son of a farmer's daughter, I had to take a look at the field. I snuck in through a series of connecting toilets. The pitch was covered over, but there was a tear up near the city end. The grass was green and wavy. A hungry bullock would fill a trough with the saliva. I sat down to take in the view. And I was reminded of last summer, when Kerry beat Cork in the Munster final. If this was 30 years ago, I would say you could smell the deep heat, we were that close to the action. Now it would be the smell of cologne. And when will young lads start wearing socks again? There may be flaws in the field, but the stadium design is a marvel. Even in summer, there was a long brown sideline strip like a seam of bog in a lawn. This is all fixable. Mistakes were made. Cork will have a stadium to be proud of. And, as the proponents of the new children's hospital will testify, big building projects are notoriously impossible to manage. The GAA has already contributed €20million to Cork. But now Cork needs a flagship game. The recent GAA congress backed up the underdog. No county should be treated different to any other, we were told. Noble sentiments indeed. If you closed your eyes and imagined a passionate southern American accent, it could have been Martin Luther King. Yes, Dublin are the underdog. The richest county and the most successful county of our times have been granted two home games in the Super 8s, or the Blooper 8s. 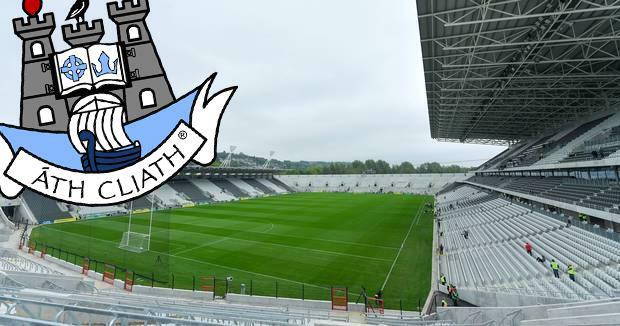 The GAA voted by large majority to gerrymander an extra home game for underdog Dublin, on top of the Leinster final, the All-Ireland semi-final and the All-Ireland final. The GAA has took from the achievements of this mighty Dublin team, who will most likely win five in-a-row this year. There was no fair play and the Dublin players will be accused of having an unfair advantage. John Horan, the president of the GAA, who happens to be a Dublin man, said when he was chairman of the Leinster Council that he took Dublin out of Croke Park. Wow! But did he take them to a far, distant galaxy like Thurles for the Leinster final? It's about 15 years ago since we wrote Ireland ended at the Red Cow. GAA Ireland doesn't even go that far. GAA Ireland now ends at Clonliffe Road. To be fair, Dublin would probably win most of the away games anyway, but would they have won them all? But for a blip against Donegal, Dublin would now be heading for seven in-a-row. Maybe there will be fair play when Dublin win the five in-a-row. Paddy Cullen spoke out against all the home games last week. So have many more. The GAA will say a majority voted to keep Dublin in Croke Park, but it was a majority of an oligarchy. The public vote would have been very much in favour of asking Dublin to play away from home. The president must declare his support for the playing of one All-Ireland semi-final in Cork every year, especially so when Dublin are involved. The GAA must review existing commercial arrangements to enable the fair-play proposal. And I would remind Croke Park, the name of the GAA championship is the ALL Ireland.